A merchant account. This is essentially a bank account that allows you to accept incoming credit card payments. A payment processor. This term is used interchangeably with merchant account provider. When you apply for an account to accept payments, your provider will set you up with an acquiring bank and the connections to authorize and settle transactions into your bank account of choice. A payment gateway. This is the tool that captures credit card data before sending it to your processor. Think of it as an “online” credit card terminal. It’s possible to choose these components à la carte. In fact, many merchants do precisely that — with the expectation that they’ll find the best prices and features. But, there are compelling reasons why you should keep everything under one roof. In fact, you’re almost always better off getting your merchant account, payment gateway and processing from the same trusted vendor. Arguably, you reap the biggest benefits with your payment environment if all three components exist within the same ecosystem. They’re much more likely to follow the same standards if they were designed to work together. If your goal is to get up and running as quickly as possible, this is the best approach. You’ll face fewer headaches and hurdles. This point is similar to No. 1, but if you choose the same provider, then your merchant account, payment gateway and processing will more likely continue working together — even as new patches and updates are available. By contrast, if your payment environment is a patchwork of components (from different providers), things can quickly get out of sync. All it takes is a new protocol change, regulatory requirement or security update — and your entire system can come crashing down. Your payment environment is only as secure as the weakest link. That’s because every time credit card data is captured, stored, processed or sent, that information is potentially vulnerable to hacking and abuse. Choosing a PCI-compliant processor is obviously an important step. But if your payment gateway doesn’t also follow the latest security standards, you’re still exposed. It’s technically possible to handpick à la carte solutions, each of which adheres to the latest PCI data security guidelines. But bringing everything together under one roof reduces the number of vulnerabilities and gaps. Have you ever gotten the runaround from two customer service teams (from two different companies)? Maybe you can’t get your computer to connect to your Internet correctly. Or, perhaps your smartphone can’t log into your bank account. Company A swears it’s the other guy’s fault. Company B says the same thing. It’s impossible to get both customer service teams in the same room. Instead, you’ve got to bounce back and forth, arguing with each side. This can be incredibly annoying when trying to troubleshoot problems, but it can also be detrimental to your business if you’re no longer able to accept incoming credit card payments. When all of the components in your payment environment exist within the same ecosystem, however, you only need to make one call. It’s sometimes possible to receive discounts on bundled packages, like you do with your Internet and cable, for example. If you choose your processing, merchant account and payment gateway from the same provider, you may receive more attractive pricing. This isn’t always the case, but rest assured if you go with an à la carte approach, you will almost certainly pay full price for every component. Are We the Right Payment Provider for Your Business Needs? Our payment processing uses advanced fraud prevention technology to keep your customers’ financial data safe from hacking and abuse. Our merchant accounts are incredibly easy to set up, even if you’re a beginner. Plus, they’re segmented by industry, allowing you to find the perfect fit for your needs. Our payment gateway integrates seamlessly with many accounting, ERP, CRM or business management software platforms. In addition, we support a growing number of payment options. Although you might want to accept only credit cards today, your customers may increasingly want to use ACH, Apple Pay contactless payments in the future. 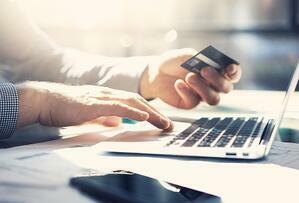 By enabling these other payment options, you won’t have to turn away prospective sales. All of the above comes with payment integration, which eliminates the need to manually update your accounting, CMS and CRM records. Every time you generate a new sale, that transaction is automatically reflected in the business tools you’re already using. This payment integration is available both through standalone modules and through API customizations. If you’d like to learn more about BluePay’s payment processing solutions, schedule a free consultation today.